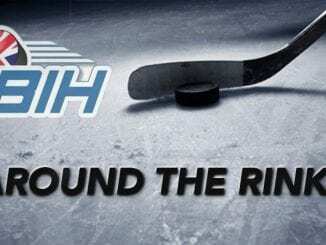 After the thrill of five goals last weekend (and winning the BIH Player of the Week award), Liam Kirk was unable to follow that up as Peterborough Petes won one and lost one. 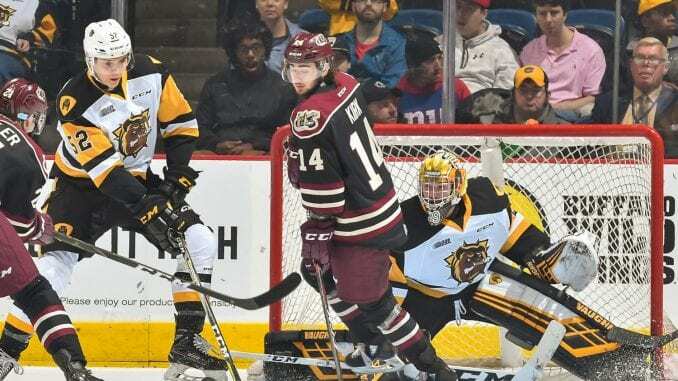 It was the first time in 10 games where he had failed to register a point in consecutive games, but there were positives to take as Petes added a fourth win to the three the week before with a 4-1 win over North Bay Battalion on Thursday. Brady Hinz and Semyon Der-Arguchintsev put Petes two up before Battalion pulled one back. Further strikes from Cameron Butler and Erik Cermak ensured a good win. Liam got two shots on goal and was on the ice for two of the goals, which helped his plus/minus, but it wasn’t to be for him in terms of points. From there, Petes made the journey to Sudbury Wolves, but couldn’t extend their run to five as Wolves came from behind to take the points in a 3-2 win. Nick Robertson scored twice for the Petes, but it wasn’t enough as Wolves gained revenge for an earlier 5-2 loss to Peterborough in a previous meeting. For Liam, only one shot on goal and in all a disappointing night, leaving the Petes frustrated at what might have been. The Petes will be feeling better about this fixture when they face the Bulldogs after their last meeting saw Peterborough win their first game over them in eight attempts. Overall, while Petes have one loss in their last five, they’re unbeaten in their last three at home. It’s good until you take into account the Bulldogs are undefeated in four on the road. Something has to give in this meeting as Bulldogs chase their fourth win from their tenth game as they head to the Peterborough Memorial Centre. Liam will have fond memories of the last meeting between these two, netting in a 7-3 win over the 67’s, who play hosts in this latest Sunday afternoon meeting. Ottawa are 10-1 at home in their last 11 and will fancy their chances heavily of getting a result in this contest, especially considering Petes have three wins from their last nine on the road. Overall, the home side have three straight wins and no games before Sunday’s meeting so will approach fresh and ready to go. Petes won’t find it easy at TD Place, that’s for sure.